The name of the estate is drawn from a detail of a fresco dating back to the 14th century, in the S. Maria in Piano local church. In the representation of Judgement Day, the “Tower of the Blessed” (“Torre dei Beati”) is the final goal of the souls that is achieved through hard effort and many tests. The winery's aim is to express, through extremely careful selections in the vineyard and at the winery, the best of the native grapes grown in the Loreto Aprutino area. 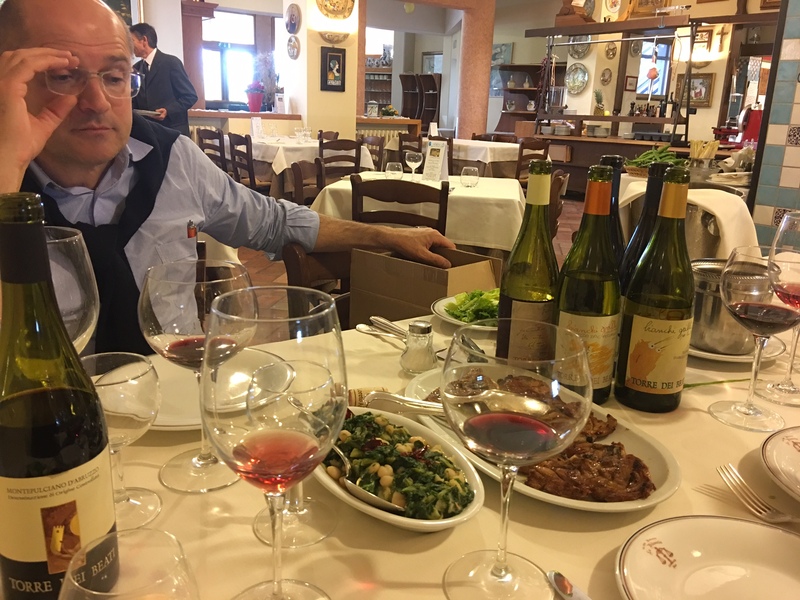 Torre dei Beati started its family-run winemaking activity in 1999, when they decided to start manually cultivating their vineyard planted in 1972 by father Rocco. They firmly trust that high quality wine has to be natural and that to separate the two issues is really impossible. For this reason they immediately converted the vineyard to organic farming. Their first bottle dates back to 2000. 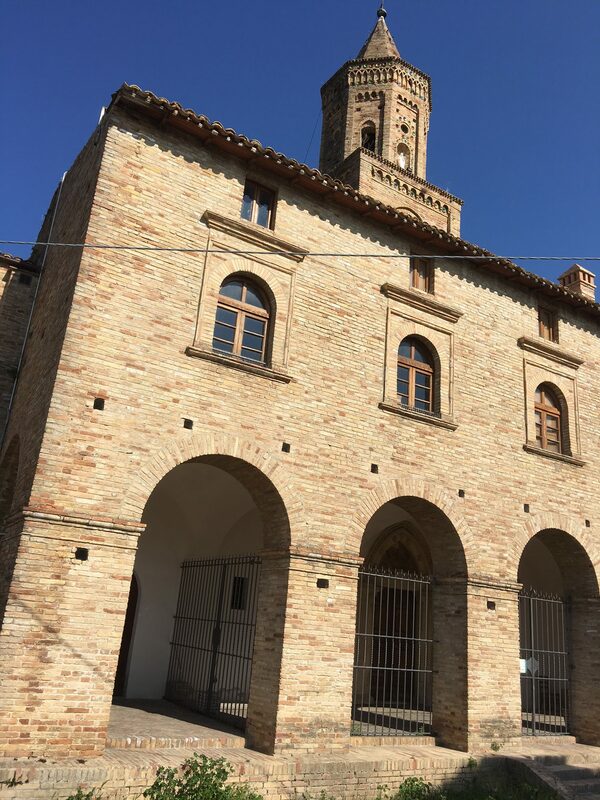 Starting from the first production core, located on the ground floor of an old farmhouse settled in the center of the vineyard, a new cellar for the wine ageing and a new winery have since been added, allowing Torre dei Beati to use the house as a welcoming and tasting center. In 2004 they bought a new 8 hectare plot, where they are now planting new vineyards. 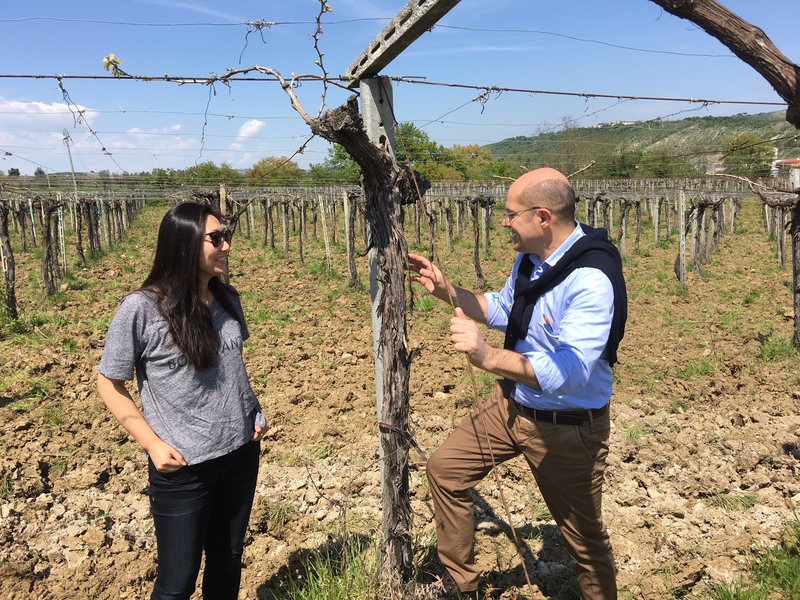 Over time, their portfolio increases significantly with studies of the Montepulciano, the grape varietal on which their efforts are mainly focused. 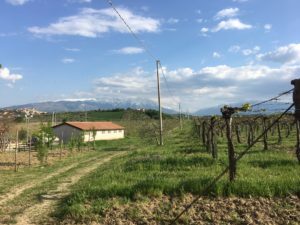 More recently they have started to plant Pecorino and Trebbiano, the most interesting traditional white varietals of this region. 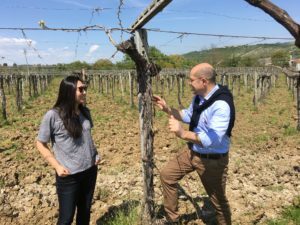 They grow 21 hectares, all located in Loreto Aprutino, between 250 and 300 m above sea level, about 25 kilometers from the Adriatic Sea and on the first slopes toward the Tavo creek. The vineyards raise towards the 3000 meters of the Gran Sasso d’Italia, the highest mountain of the Apennine range. This particular position gives the vineyard a warm wind coming up from the sea during the day and cold air coming down from the mountain at night, especially during the last month of the maturation, when the Gran Sasso is usually blanketed by snow. The regionally typical Abruzzo curtain (“pergola abruzzese”) is the usual training for the oldest vineyards while the new plants are high density guyot or spurred cordon, according to the varietal. The agronomical management varies according to the training plant, the characteristics of the varietal and of the single plot, the goal being a natural green/product balance for obtaining low yields. The harvest is made only through repeated pickings in the same plots, selecting only the most perfectly healthy and ripest bunches and leaving the others on the plant to mature until the next picking. Farming is compliant to the CE 2092/91 European law about organic agriculture. The grapes, carefully selected in 20 kilos cases, are immediately brought to the winery, located close to the old farmhouse in the middle of the vineyard. There they are selected again on a sorting table to choose only the best. 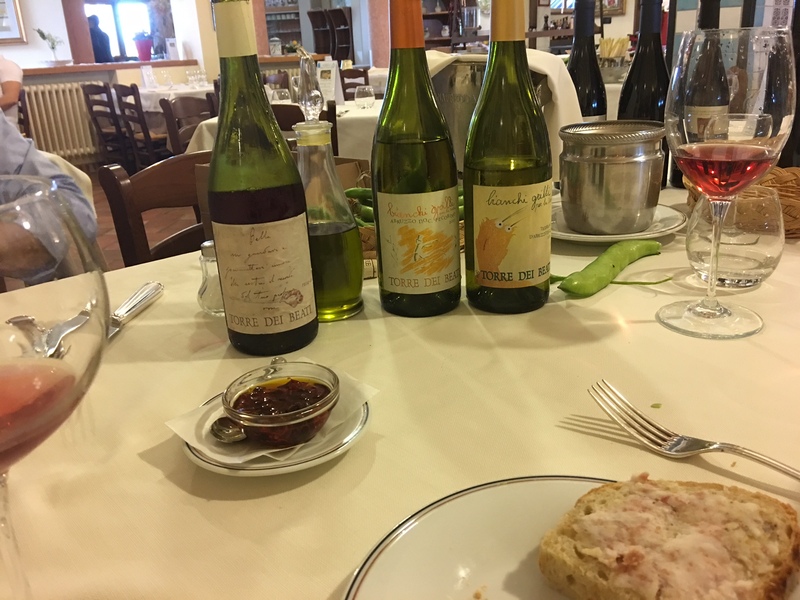 This process is applied to all of the grapes used in their wines, for the purpose of best expressing the potential of each wine according to its category. At the winery, the most advanced technology is dedicated to a traditional winemaking with respect for the genuineness of the organic grapes. The strong selection in the vineyard and at the winery admits only perfectly healthy bunches to obtain a quality wine with the smallest use of preservatives in accordance with organic and high quality practices. Pecorino, "Giochermo Con i Fiori"